Ticket sales do more than reflect the interest in Sunday’s “Thunder and Frightening” fight card; they reflect the expectations of fans looking for new fighters to light up the afternoon at Emperors Palace. Promoter Rodney Berman and right-hand man Jeff Ellis have thrown together a riveting line-up of seven fights featuring boxers threatening to break through. With the promise that two best fighters will earn a place on the December 8 Emperors Palace event, the pressure is cranked up on all 14. Chief among these, perhaps, is much-touted cruiserweight Keaton Gomes, who must keep winning to stay in the frame for bigger things. He boxes always-keen Siphesihle Bottman with the knowledge that he’ll have another cheque to bank in December if he produces the goods on Sunday. 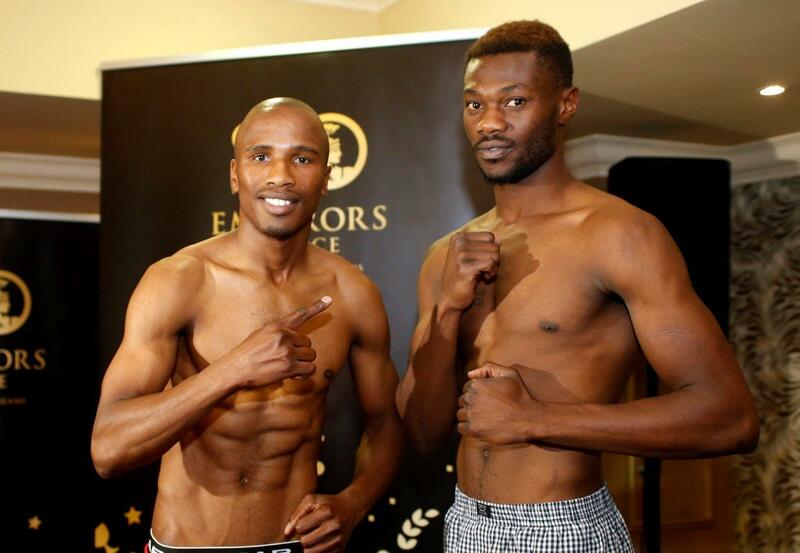 Much awaited: Lybon Ntshani vs Boyd Allen. Although there are two Gauteng title fights on offer, there is bound to be more interest in the pro debut of Boyd Allen, the former MMA champion. Allen, a former amateur boxer, campaigned successfully in the EFC, but is now determined to make a good fist of things in the pro ranks. Ryno Liebenberg, for one, rates him highly. With a big crowd sure to buoy him on, Allen fights Lybon Ntshani in a junior-middleweight four-rounder. Lucky Monyebane will look to get back on the winning horse when he fights Paul Mangxilana for the provincial junior-lightweight belt. In the main fight, meanwhile, exciting young gun Jabulani Makhense ought to get a decent test against rugged Gift Bholo for the Gauteng junior-welterweight crown. Berman is high on Makhense, so this acid test may tell him much as a big 2019 awaits. Trainer Anton Gilmore’s junior bantamweight prodigy, Ricardo Malajika, will attract plenty of attention provided he gets the job done in his pro debut against Nkululeko Mnisi. 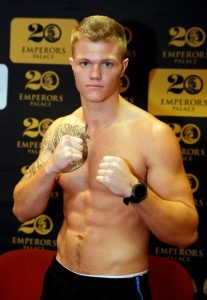 Harold Volbrecht has high hopes for Tristan Truter and the welterweight goes against Sibonelo Nzimande. 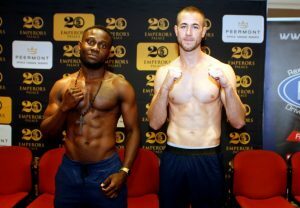 There’s also a welcome Emperors return for Michael Markram, who will be expected to replicate his excellent gym form under the Palace lights in a light-heavyweight bout against Mandla Mpofu. Boxing starts at 2pm (no live TV). Gift Bholo, left, fights Jabulani Makhense.